Died at Forsyth Memorial Hospital. Tombstone says "Charlie Manley Councilman Nov 23 1905 May 9 1966"
2. 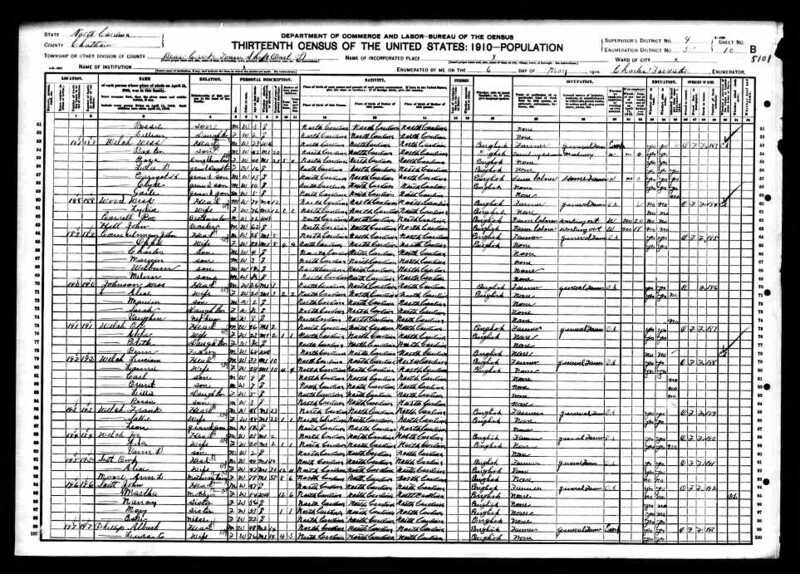 Appearance in Document: NC Birth Index, 23 Nov 1905, Chatham County, North Carolina, United States. 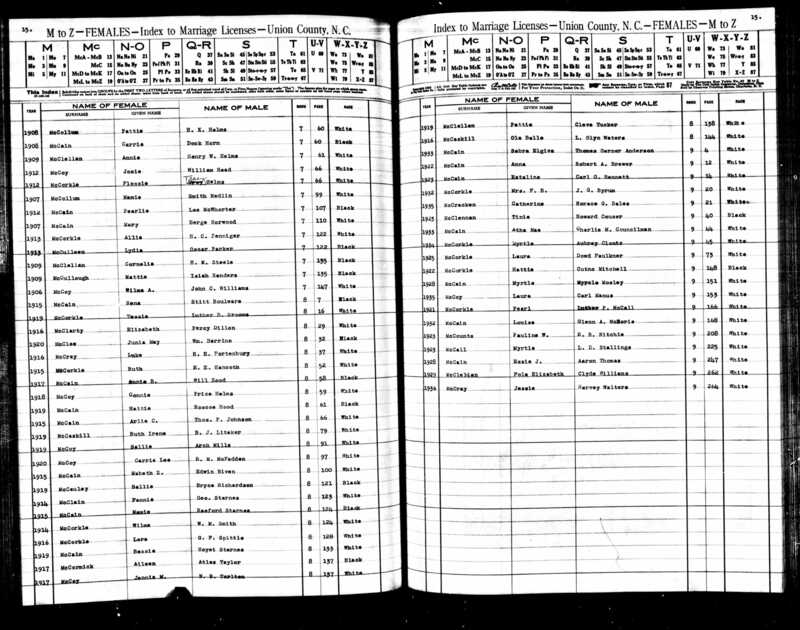 4262 Nov 23 1905, Councilman, Charley Manly, no parent listed, book 3 page 167. 6. Residence, 1926, Bonlee, Chatham County, North Carolina, United States. 7. Education, 1926, Bonlee, Chatham County, North Carolina, United States. Graduated from Bonlee High School in 1926 (according to his diploma). 8. Appearance in Document, 2 Oct 1938. Shirley has a photo showing Charlie with his grandmother Sarah, mother Oppie, and daughter Shirley (the oldest of each generation). The photo is dated 2 Oct 1938. 9. Story, Cir 1940. 388 The family moved around to wherever Charlie was working (on road construction), at least before the children began attending school. 10. 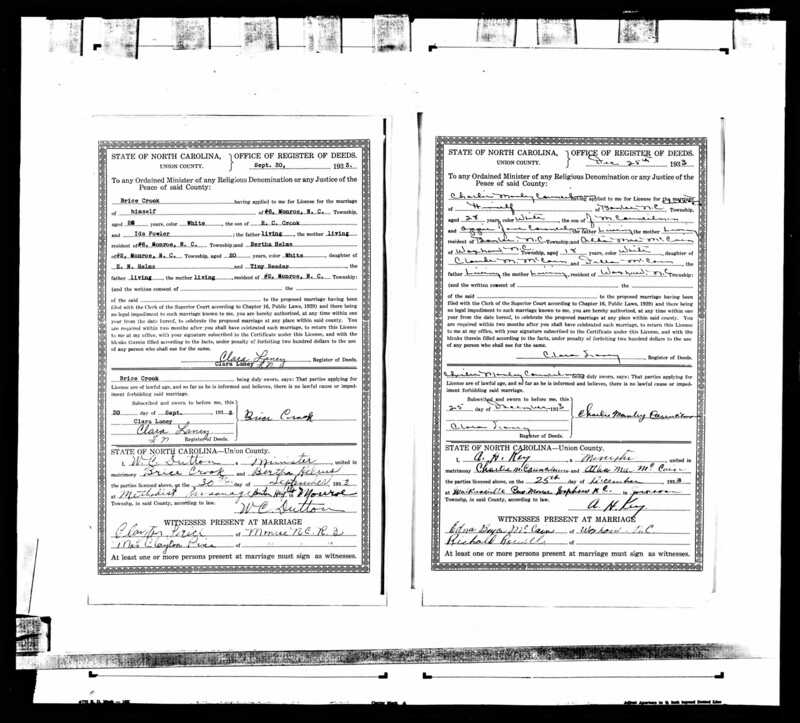 Appearance in Document: WW2 Draft Registration, Cir 1940, North Carolina, United States. 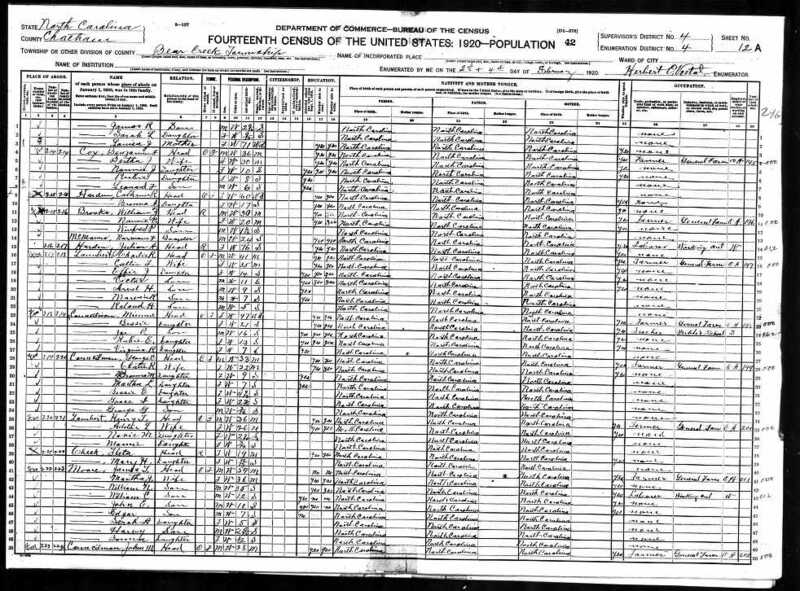 4065 Serial Number 2810; Charlie Manley Councilman; Order Number 2559; Address: Gen'l Delivery, Bonlee, Chatham County, NC; Age 34; born Nov 23 1905 in Bear Creek, NC; Contact person: Mr. or Mrs. John Manley Councilman, father, same address; Employer: Gregory & Poole of South Boston, VA; Place of employment: RFD #2, Ahoskie, Hertford Co, NC; Signature Charlie Manley Councilman. 11. Residence, 1966, Winston-Salem, Forsyth County, North Carolina, United States. 4064 Charlie Manley Councilman was resident of Route 1, Murray Road, Winston-Salem, when he died May 9 1966. 12. Story. 3975 Worked for Beal Brothers construction company where he managed the books. The Beal Brothers were Sam and Newby Beal. After Sam died in the 1940s, the company folded and Charlie started work at the defense plant in Charlotte, along with John, Johnnie, and Ed. The plant made shells. Charlie worked in the accounting department. Charlie used to take everyone to work in his car, so he was able to get tires and gasoline during the war. After the war, the plant closed but Charlie stayed on to finish up the accounting. After that, Charlie worked for J. A. Jones construction in Charlotte, but he moved a lot in this job. Places included additions to UNC Memorial Hospital in Chapel Hill, Winston-Salem, Williamsburg, and Ft Bragg. When he was offered a job in Goose Bay, he quit and went to work for Fowler Jones Construction company in Winston-Salem. Construction he was involved in included Hanes Mill in Winston-Salem. Athae Mae moved to Winston-Salem with him, and bought a mobile home so she could move the home as he moved, but they never moved again. They lived at Murray Road Trailer Court. 1. Marriage, 25 Dec 1933, Waxhaw, Union County, North Carolina, United States. 2107 Marriage License dated Dec 25 1933 in Union County, NC. Charlie Manley Councilman of Bonlee, NC, age 28, son of J. M. Councilman and Oppie Jane Councilman, both living, residents of Bonlee, and Atha Mae McCain of Waxhaw, age 18, daughter of Claude M. McCain and Della McCain, both living, residents of Waxhaw. Marriage performed 25 Dec 1933 at Walkersville. Witnessed by Edna Boyce McCain of Waxhaw. 2. Story, 25 Dec 1933, Walkersville Presbyterian Church, Union County, North Carolina, United States. 3975 Charlie and Athae Mae were married 25 Dec 1933 at Walkerville Presbyterian Church. 3. Marriage, 25 Dec 1933, Union County, North Carolina, United States. 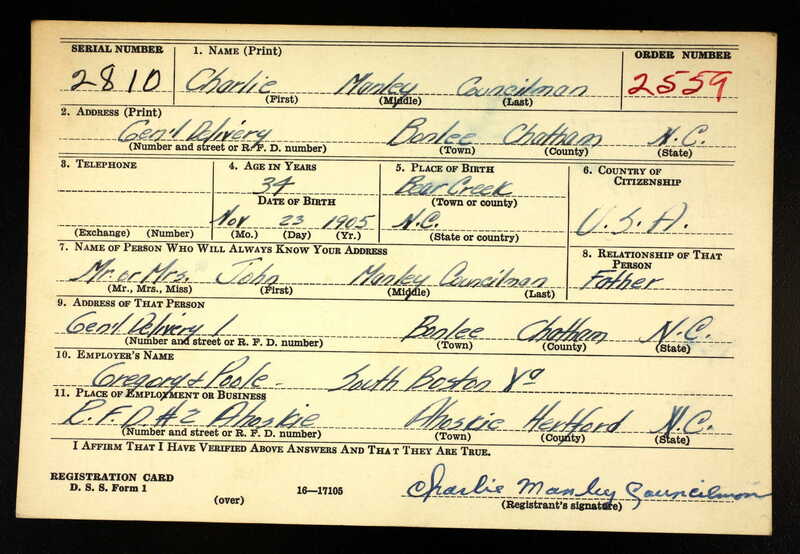 4260 Charlie M. Councilman, age 28, maried Atha Mae McCain, age 18. 4. Marriage, 1933, Union County, North Carolina, United States. 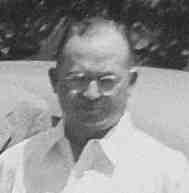 4264 Atha Mae McCain married Charlie M. Councilman in 1933, recorded in book 9 page 44.